Attracting young adults to attend church is no easy ordeal, getting them to drag their friends out of warm beds to join them is even more challenging. But it’s just what White Oak Baptist Church wanted to achieve with this billboard ad campaign by encouraging teens not only to attend the service but to bring their friends as well. 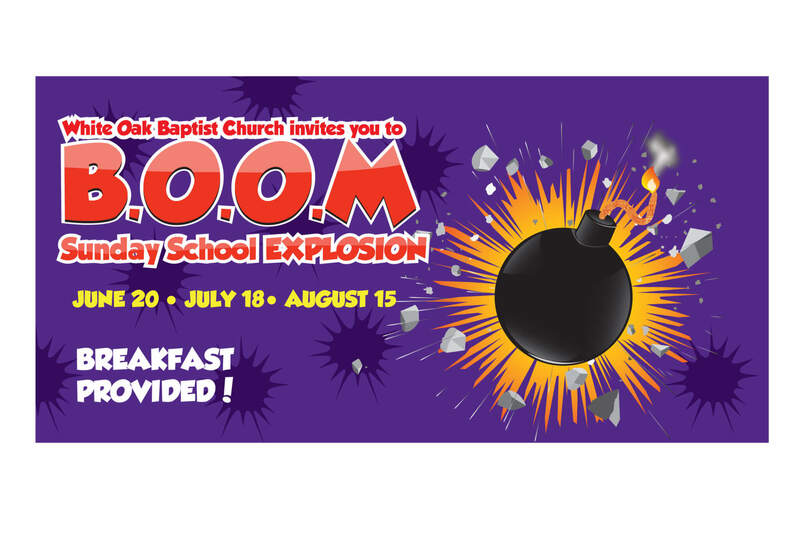 Bring One or More challenges the status quo by exploding a trendy B.O.O.M Sunday School event aimed at attracting newcomers to the service. The intrusive shards of explosion with zooming typography provided a fast paced experience to the passersby while energizing those who stared at the signage in motionless amazement. We kept a lot of energy in the color of the campaign by using a variety of warm hues to make visuals in the ad, dare we say, pop! Though the wildly subtle pattern of the wall paper arouses even more excitement, it was just the thing that acted as an echo to the overall theme. The second run of the advertisement remained in the same tone but using more of a simpler fashion with the balance of image and text. The goal was to bring awareness about the importance sharing an experience with someone who was close to the regular visitors of the church. Being the spark was the most important factor next to causing the social explosion in the community of Somerset KY. White Oak Baptist Church constantly uses a variety of methods to reach out to its local community most of which have proven very successful thus far. Counter to cliché’ models of religious methods of awareness, White Oak was very open to us being simple and direct all while having a lot of fun in the process.